It only just two minutes to answer a few questions. 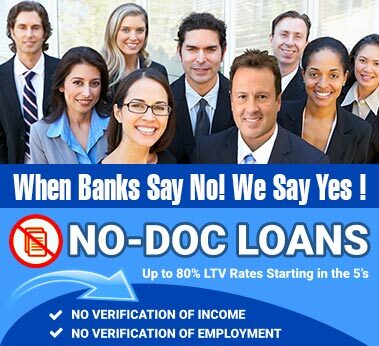 Once you submit your request, a no-doc loan specialists will contact you about the process along with rates and terms. WHAT IS YOU CREDIT SCORE? IF PURCHASE, WHEN IS CLOSING DATE? CURRENT LIEN(S) ARE PAYABLE TO WHO? WHO'S NAME WILL PROPERTY TITLED IN? © 2007 - 2017 - 1ST FLORIDA LENDING CORP.